Ascetic practices are a common feature of religion in Japan, practiced by different religious traditions. This book looks at these ascetic practices in an inter-sectarian and inter-doctrinal fashion, in order to highlight the underlying themes common to all forms of asceticism. It does so by employing a multidisciplinary methodology, which integrates participant fieldwork – the author himself engaged extensively in ascetic practices – with a hermeneutical interpretation of the body as the primary locus of transmission of the ascetic ‘embodied tradition’. By unlocking this ‘bodily data’, the book unveils the human body as the main tool and text of ascetic practice. 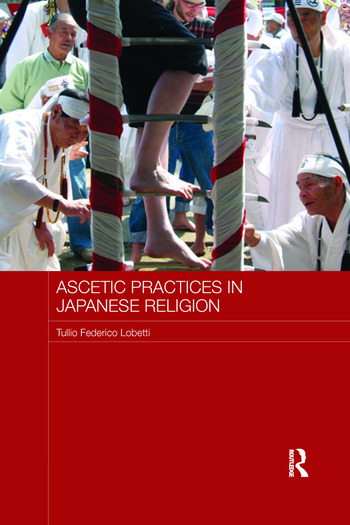 This book includes discussion of the many extraordinary rituals practiced by Japanese ascetics. Tullio Federico Lobetti is Senior Teaching Fellow in the Study of Religions Department at SOAS, University of London, UK. Foreword writer, Hirochika Nakamaki, is Director of the Suita City Museum and Professor Emeritus of the National Museum of Ethnology, Japan.